If you’re looking to change up your spa game, it might be time to investigate a complete sensory deprivation experience. Elements Float Spa is one of the newer additions to spas in Birmingham, AL. Victoria Robbins breaks down the essentials of her business. What is the purpose of a float spa? 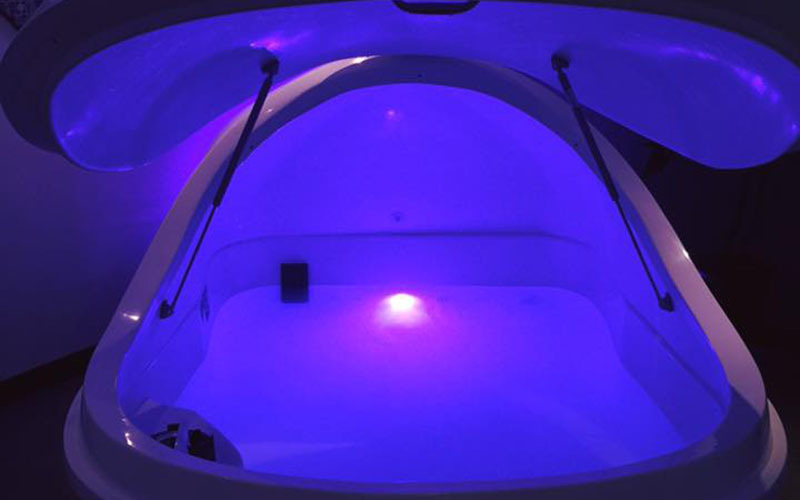 Float tanks were originally designed for a sensory deprivation experience — no external stimuli. All you can hear is your heartbeat. This environment allows your mind and body to relax completely in a way that is difficult to achieve out in the real world. The benefits are similar to meditation and the process is, also. It’s not always easy to relax during your first float. It can take practice to really achieve a meditative state inside the pods. However, meditation is not the only benefit. Most of our clients float for pain relief. Each of our pods are filled with 200 gallons of water and 1,000 pounds of Epsom salt. 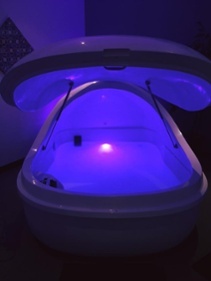 This creates an extremely buoyant environment which is beneficial for sports injuries, fibromyalgia and many other types of chronic pain. Why do you think your spa is an asset to the Birmingham community? I think we’re a n asset to the Birmingham community because we are a completely new concept for the area. 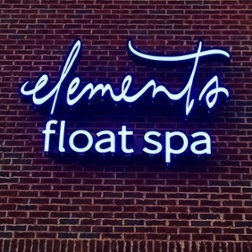 Elements is the first float spa, not only in Birmingham, but in Alabama. We have so many clients that say they have wanted to try floating for years, but they didn’t have anywhere to go. So many of our clients thank us for bringing floating to the area because it really has made a difference for them. Who benefits the most from floating? Anyone can benefit from floating. Whether you’re a stressed out mom that just needs some peace and quite or you’re an injured runner looking for relief, floating can help. We have so many different people that come to us. It’s really hard to pick just one type of person floating can benefit. How did you get involved with the concept of float spas? I kind of stumbled upon the idea. I had friends that had tried it and loved it, and that’s really how the conversation got started. One friend actually used to travel to Atlanta to float. She had been in an accident and injured her neck and found a lot of relief in floating. After some research, I realized that Alabama had nothing like this. I opened up Elements a year and a half later. What makes Birmingham a prime location for new businesses? Birmingham is in such a renaissance right now, and I love it. All of the focus is on local business — eat local, drink local, shop local. Well, I want people to float local, too. If this is something you want to try, you don’t have to drive to Atlanta or Nashville to hop in a pod. You can do it right here in Birmingham.